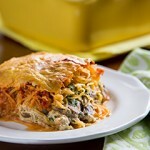 The creaminess of the sauce and filling contrast nicely with the slight crunch of the “noodles” in this low-fat, low-carb version of lasagna. 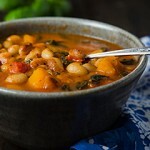 This stew combines white beans, butternut squash, and kale with fresh basil for a hearty and flavorful one-pot meal. Find out what happens when chickpeas and quinoa become a little too familiar. 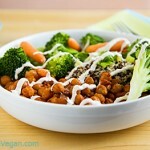 Plus a mouthwatering recipe for dry-spiced chickpeas combined with broccoli, carrots, and a lite tahini sauce. 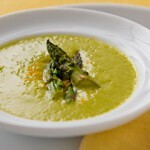 Featured Blog Post: Asparagus season is here! 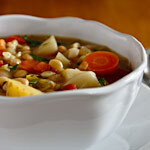 Indulge in this delicious soup made creamy with cashews. Find the recipe on the blog. 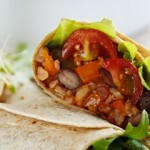 Featured Blog Post: This easy Spanish rice makes a delicious burrito filling or side dish. 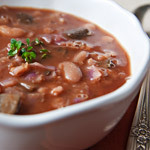 Blog Recipe of the Week: Adapted from Anna Thomas’ Love Soup, this rich and flavorful soup is hearty enough to be a satisfying main dish. This week’s Blog recipe is a super-easy treat you can make in minutes in your microwave, Baked Apples, with either a raisin or blueberry filling. 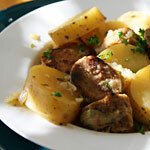 Overflowing with potatoes, carrots, and cabbage, this hearty stew is perfect for St. Patrick’s Day or any day. 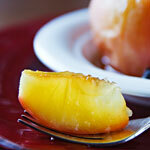 Here’s a blog recipe from 2008 that’s worth trying again. 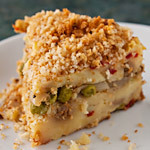 Potato Gatto is a layered potato casserole that can be adapted any number of ways.